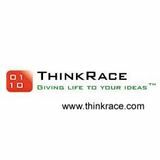 About ThinkRace ThinkRace founded in 2006, is an innovative manufacturer focused on providing OEM/ODM service for different kind of IoT devices such ask GPS tracker, Wearable device and elderly emergency equipment together with integrated software and mobile app solutions. 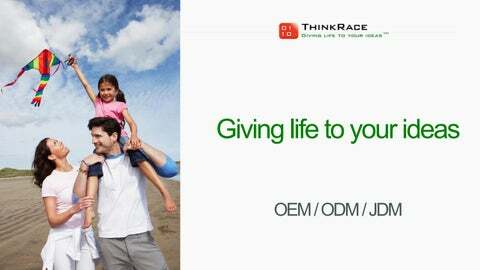 Our headquarter is in Shenzhen with branches in India and Canada. We have more than 100 engineers in our inhouse R&D center and more than 420 workers in the factory. We can deliver more than 1 million devices per month. We are the leading factory can provide one stop shop services in IoT device design including PCBA, Firmware and APP R&D department, Back-end R&D department. All our products are developed independently. our products in more than 20 languages, and most of clients are fortune 500 companies like Orange, TATA, Allianz, Huawei, Lenovoâ&#x20AC;Ś We have the capability to provide quality products and service to all over the world. Software Selling points • High Scalability, the system can support more than 5 million devices. • High Security, implemented for many big clients in Europe including Telecom companies. Ideal Power is established in September 2013 with around 300 employers and modern standard buildings more than 15000 mÂ˛ area. Idea Power implements strict quality management system, and it has passed ISO14001, ISO9001&OHSAS18001 certification to ensure the quality of the products to meet the quality requirements of customers.